I have been a fan of Russian literature for several decades, ever since I read my first book by Dostoyevsky. I’ve also read works by Tolstoy, and as a prisoner, of course I’ve read Solzhenitsyn. I was looking through the memoir section in Taft prison library, and when I found this memoir about Alexander Dolgun’s experiences with a 25-year sentence, I decided to read his story. I though the style he chose may help me as I continue writing Earning Freedom, my own story of a prison odyssey. One lesson I learned is that Dolgun and the writer with whom he collaborated made this book come alive with vivid descriptions, and if I am to succeed in helping my readers understand prison, I have a considerable amount of work ahead. I knew this, of course, but this powerful book helped clarify the message. When I read the cover’s description of Dolgun’s 25-year sentence, I suspected that he served less time. In Solzhenitsyn’s classic, The Gulag Archipelago, he also served less time than the sentence imposed. In Dolgun’s case, liberty came in eight years, with the death of Stalin. This book illustrates the importance literature has on human culture. Although Dolgun was released from prison in the 1950s, his story as told through this book, preserved his experience forever. I am glad to have read it, as the memoir helps me understand an earlier period in history, before my birth, on a continent I’ve never visited. 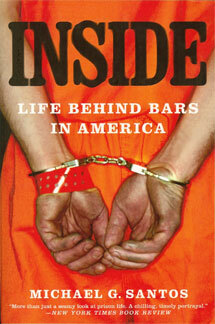 Prison has become an inextricable part of my life, as I’ve been locked inside various prisons since 1987. It is important for me to learn as much as I can about the prison system and prison experiences to that I can teach other more effectively. One question I asked myself after finishing Dolgun’s story was whether I would have preferred to have served eight years under conditions that he endured, or the 22-plus years of prison I have known. I think would have taken the eight years, as this stretch has taken too much out of my life.